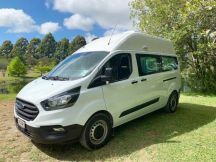 Tui Trail Adventurer 2+1 is a modern designed Ford Transit Custom van, with all the mod cons and safety features you would normally only see in expensive cars or SUV's. Powered by 2.01l diesel engine and 6 speed automatic transmission. Features an added extra bed that is suitable for a child up to 10 years old, or this area can be used for extra storage. Plus Shower/Toilet cabinet, diesel heating and gas hot water. 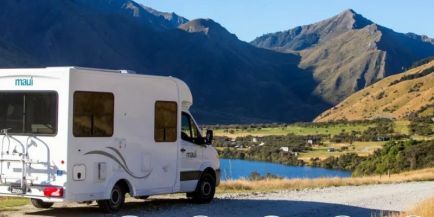 The 12 volt electrical system is powered by the latest large capacity solar panel and charge control technology. Therefore you will run out of water before you run out of power. This vehicle has been certified self contained. Can freedom camp in designated areas. One child seat can be fitted in this vehicle when passenger airbag is turned off.